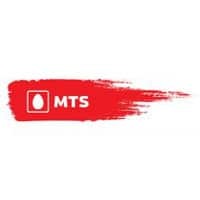 Russian mobile network operator MTS has launched MTS Money Wallet, an online payments and money transfer service that incorporates loyalty points, offers and discounts, and is to be expanded to transport and in-store payments via NFC, SMS and USSD technologies later this year. “The new service combines all payment tools on one platform — electronic wallet, bank cards and customers’ mobile account balances,” MTS says. “MTS clients [have] an option to make payments and money transfers from the e-wallet through a smartphone or MTS website — there is no need to open a bank account or issue a bank card. “Users are able to access the MTS Money Wallet through the iOS and Android apps or the MTS Money Wallet website. The service is available for both individuals and businesses. Once signed up to the service, MTS Money Wallet customers will have access to their platform, where they can add payment cards to their wallet. The service automatically enrols users into the MTS Bonus program, which offers loyalty points and access to exclusive offers and discounts, and will be launched for in-store and transport payments this year via “contactless payments through either the app or USSD/SMS”. “For now, you can pay for utility bills and other services inside the app from three funding sources — any bank card, phone account or a separate e-money account (wallet),” MTS told NFC World. MTS Money is an NFC-based mobile payment service that was launched in September 2016. Currently, MTS Money and MTS Money Wallet exist as two separate services, but they will be “combined in the coming weeks,” MTS adds. “We are entering a new era of mobile and financial services,” says Vasyl Latsanych from MTS. “The initial functions included in the service only mark the beginning of our journey. We will combine all possible payment solutions with leading loyalty programs.